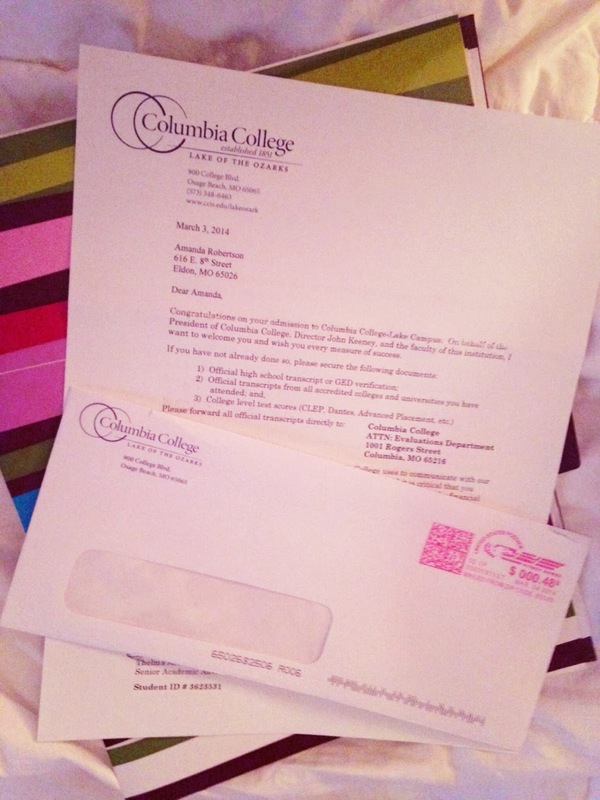 I got accepted to Columbia College, Lake of the Ozarks!! Now I have to hurry to get a bunch of stuff done and ready for the beginning of classes at the end of this March. One of those things was to verify my identity, which basically means I need to have a copy of my drivers license on file. So I drove down to the school and took care of that and I was also able to speak to the financial aid advisor about the status of my FAFSA documents and what not. That was not as pleasant as I'd hoped. I found out that because I am applying for a session in the 2013-2014 school year, they took information from my 2012 taxes. I had a really good job for most of 2012, and therefore I didn't qualify for a PELL Grant. I really don't want to wait until the August session or take out more student loans, so I asked the advisor if there were any other options. Luckily there is one! I have to fill out a Special Consideration Request for Financial Aid. What they want is proof that I am no longer employed, and did not make enough money from January 2013 to now to pay for school on my own. And also a detailed letter explaining my situation... oh boy. So I gathered the requested forms and documents, then sat down to compose my letter. College was always something that seemed natural, but a little out of my reach, mostly for financial reasons. Growing up, we always had everything we needed, but there wasn’t much room for anything else. If I wanted something, I had to work for it. 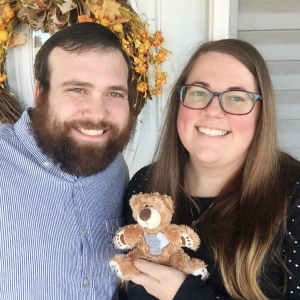 I got lucky right after high school and was able to attend one year at a private Baptist College with grants, scholarships, and a small student loan. But, for both personal and financial reasons, my college career was sadly over and I was thrust into a string of menial jobs that dominated my late teens and early twenties. I made a couple of attempts to return to school and get a degree, but they all were thwarted by work and lack of support and financial assistance. In January of 2013, I campaigned to the company I had been working for to sign me up for a certificate course at Kennesaw State University for Admin Professionals, and it made me realize how important an education can be when trying to start and maintain a successful career. However, that February, my life turned upside down when I was let go from my admin position at that wonderful company and forced to downsize my life to survive. I was able to finish the course and get my certificate, but I remained unemployed until I made the courageous decision to follow my heart and move to Eldon, Missouri in September. Job hunting in a new state and a small town proved to be challenging and since I no longer live in Georgia and my last position was a contract position, I am unable to claim any unemployment benefits. After I registered with the local recruiting office to get some assistance in my job search, I was able to start an accounting position in December, but was promptly let go after a week and three days citing “new and faster software” was purchased that would render my position unnecessary. Here we are a year later, and even though I’ve sent out hundreds of resumes, made a bunch of calls, and checked in regularly with the recruiting agency, I still have not been able to secure a source of full time employment. Being dependent upon my boyfriend has been a very humbling experience after being independent and supporting myself since I graduated high school. He is encouraging me to keep the promise I made to myself to finish school and therefore have more of an advantage in starting a successful career. I would be honored if you would accept this letter in addition to the documentation I have provided for my request for special consideration for financial aid. Thank you for you time and consideration. I look forward to hearing from you regarding this matter. I read it to Philip and he said it was good. I also spent about an hour on the phone with my mom and her husband tweaking it some as well. I hope it's enough. congratulations!!!! That is great! I think your letter is great and they would be dumb to not do it for you! !!! thanks! I'm stalking my email religiously in hopes of a reply of some sort.